Google thought it would look at many of their teams around the company and see if they could figure out what made a high performing team. I believe they looked at 340 teams and in the end, could not find any pattern that predicted high achievement. Or more accurately, they found too many patterns to reach any conclusion until they found the concept of psychological safety. Amy Edmondson at Harvard is one of the more visible proponents of psychological safety. Once Google built in a psychological safety measurement into their team assessment, there was a correlation between high performing teams and psychological safety. 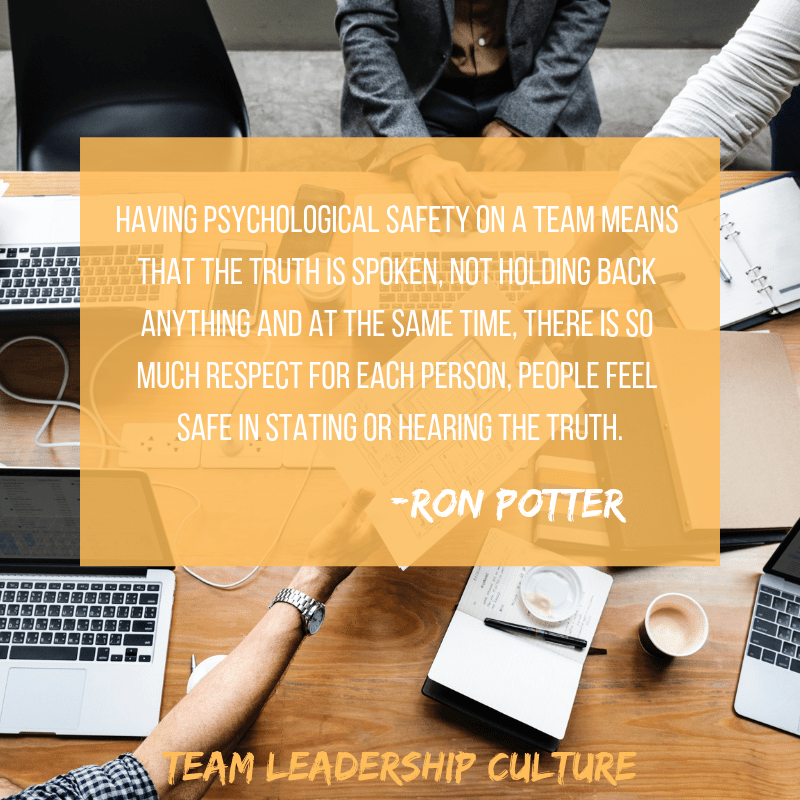 I think that one reason holding teams back in accomplishing complete psychological safety is that people assume truth and respect are at the opposite ends of the same spectrum. I can either speak the total truth, even if it means that I hold people accountable for their failures or shortcoming (one end of the spectrum) or I can show total respect to someone. Therefore I must hold back the complete truth (opposite end of the spectrum). But this is a false understanding. We need to think of these two elements as two different dimensions on a chart. A new year, a new series. Ready to talk teams? 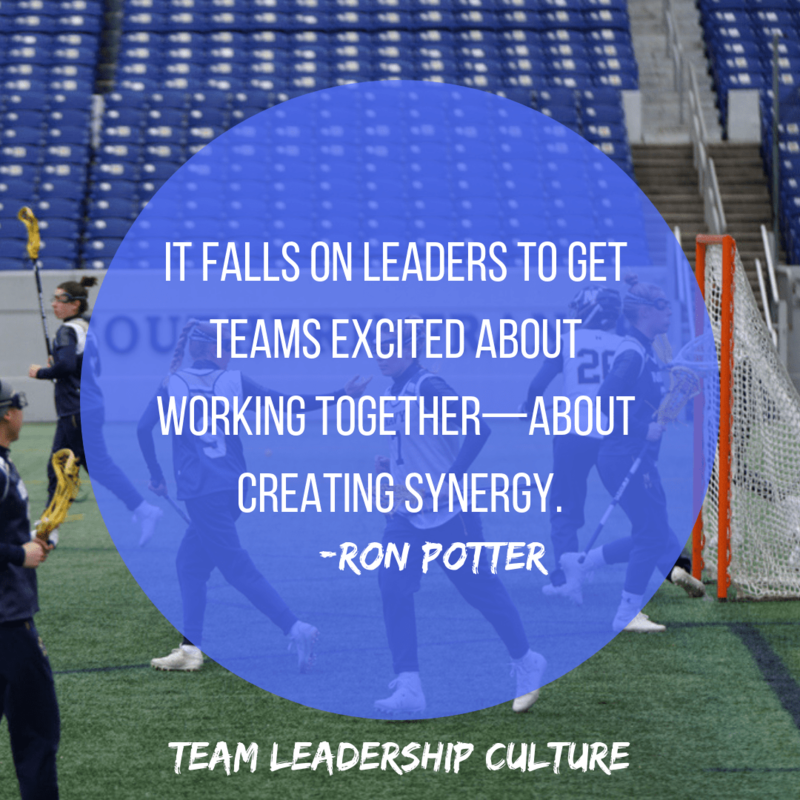 When Wayne Hastings and I began writing our first book, Trust Me, I assumed we would cover all three areas that I focus on, building Teams, Growing Leaders, and creating Cultures—TLC. As we began to work with the publisher, it became obvious that the first book was going to focus on the leadership area. The team and cultures would have to wait their turn to be covered in future books. The good news is that over the years I’ve learned more about what makes great teams work. Being a great leader, functioning as part of a great team and creating great cultures makes you happy! I was being asked to help improve the leadership skills of existing or up-and-coming leaders. Or a slight variation was the young hotshot contributor that the company thought would make a great leader someday but was currently advancing based on some great competency and had not learned the role of being a leader. Or sometimes I was being asked to help save a derailed leader who had been in the organization for a long time but had gotten off track. Team building was the second point of entry into a client. The work wasn’t necessarily related to a leader (at least in their mind), but the team wasn’t performing well. Productivity had fallen off or never existed. There was a conflict or rift in the team that they couldn’t get past. The team was facing dramatic change they weren’t handling well. They were pulled together for a short-term project that needed a quick launch to get productivity levels high as soon as possible. Both companies had good people. We were all good engineers but weren’t communicating or more importantly, understanding each other. I began to realize that understanding relied more on good relationships and character than it did on competency. My third possible entry point is corporate culture. When I started in the business in the early 1990s, the idea that you had to understand, pay attention to, and mold corporate cultures wasn’t well known, understood, or accepted. By the early 2000s, it had become an accepted fact. Those seemed to be the solid entry points for me to provide services and add value to all the companies I worked with in those early years of my consulting work—leadership, team building, corporate culture. 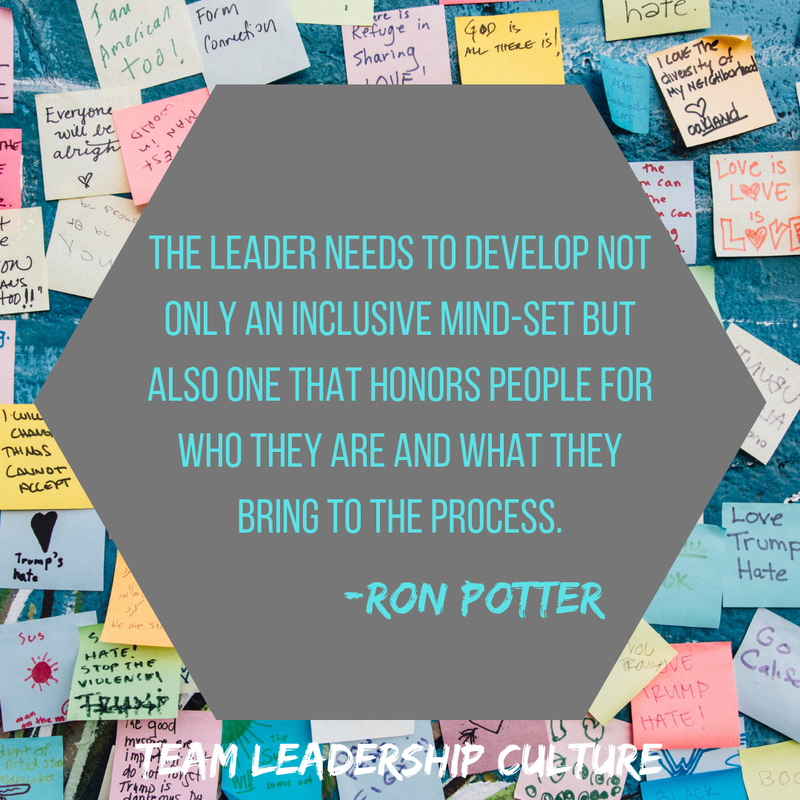 After ten years I could see that my three entry points were leaders, teams, and cultures. The challenge was what do I name my new company that reflected those points? TLC, that was it. 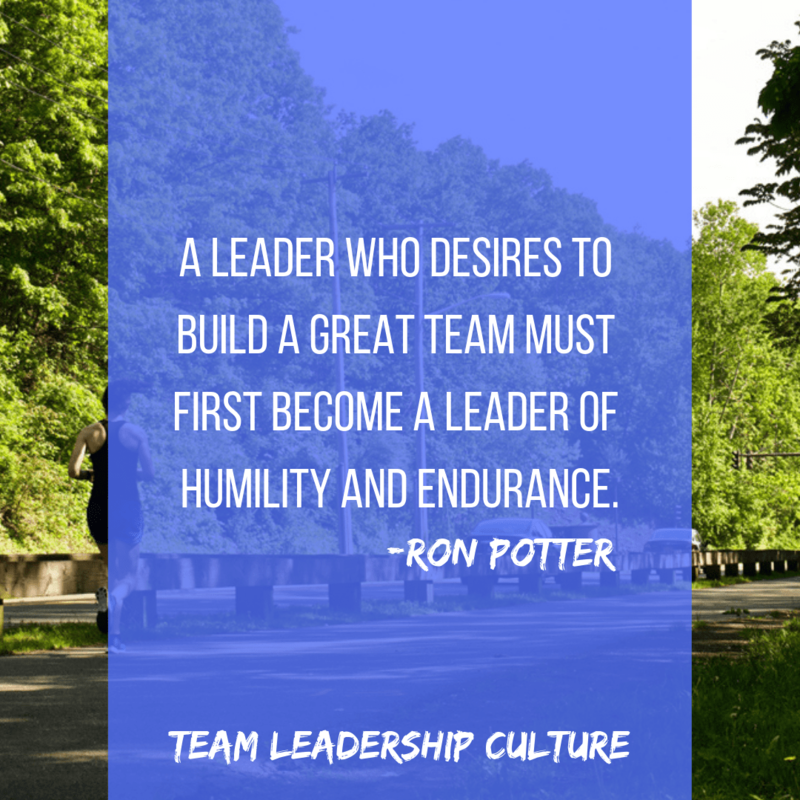 Team Leadership Culture, LLC. That was my new company, TLC! I must admit that I still thought of leadership being at the core and many of my presentations still reflected that belief. But how could I pass on TLC, so that became the name of my company, Team Leadership Culture, LLC. What’s interesting is that over time, I’ve come to believe that great teams are the essential lead element. I’ve seen more corporate failures caused by the lack of teamwork than either of the other two elements. Great teamwork can overcome mediocre leadership and lack of a good culture, but neither leadership or great culture can overcome a bad team. TLC is indeed the right sequence. One of my friends is Jim Berlucchi, who is the executive director for The Spitzer Center. Jim introduced me to the four levels of happiness that were described by Aristotle and greatly expanded into a mental model of leadership by Dr. Spitzer. Aristotle concluded that what makes us uniquely human is our pursuit of happiness. That is why our forefathers included it in the Declaration of Independence. It seems even more visible when we see the opposite. Despair and depression seem to occur when there is a loss of hope or happiness. If the ability to pursue happiness is lost, depression fills the void. Level 1 drives our basic needs for food, money, and sustenance — anything that relates to the senses. Without level 1, we don’t survive. Level 2 drives us to win, improve, get better, achieve, grow. Without level 2, we don’t thrive. Level 3 is focused on providing blessings to others. These are the elements of our book “Trust Me” which provide great leadership. 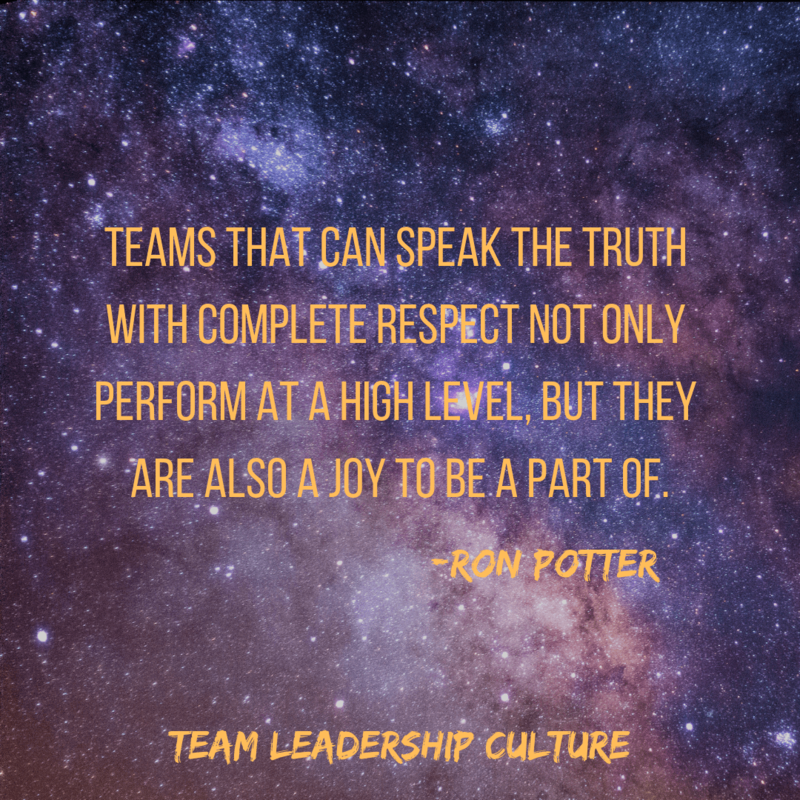 These become the elements of great teams and deliver the greatest level of happiness. Over the next several blog posts, we will be exploring each of these “Team” elements in more detail. 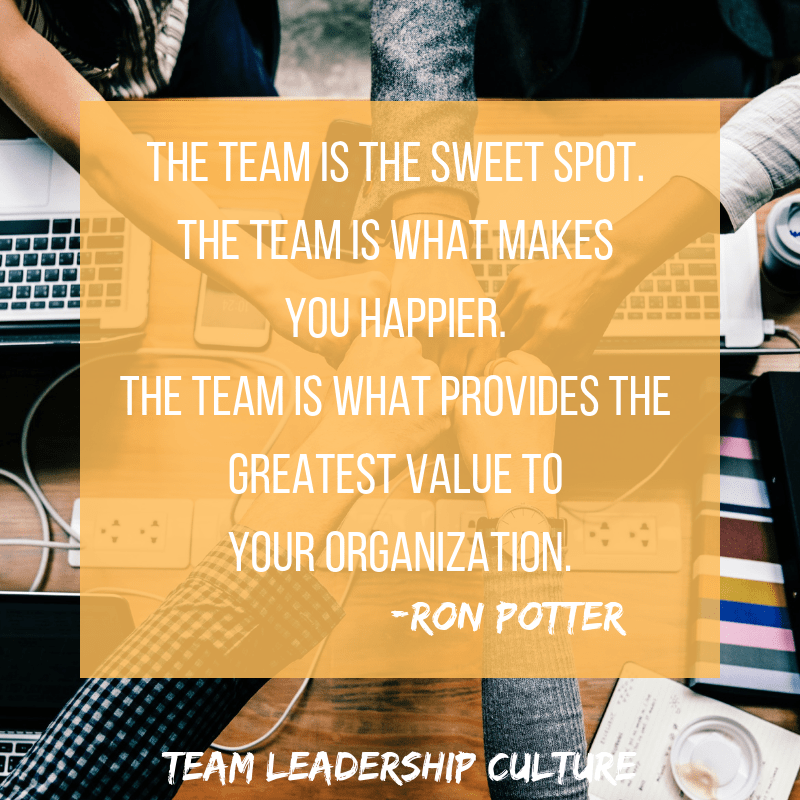 The team is the sweet spot. The team is what makes you happier. The team is what provides the greatest value to your organization. A great team will provide the greatest of memories when you think back over your career and lifetime. To have a great organization, integrity must be widespread. 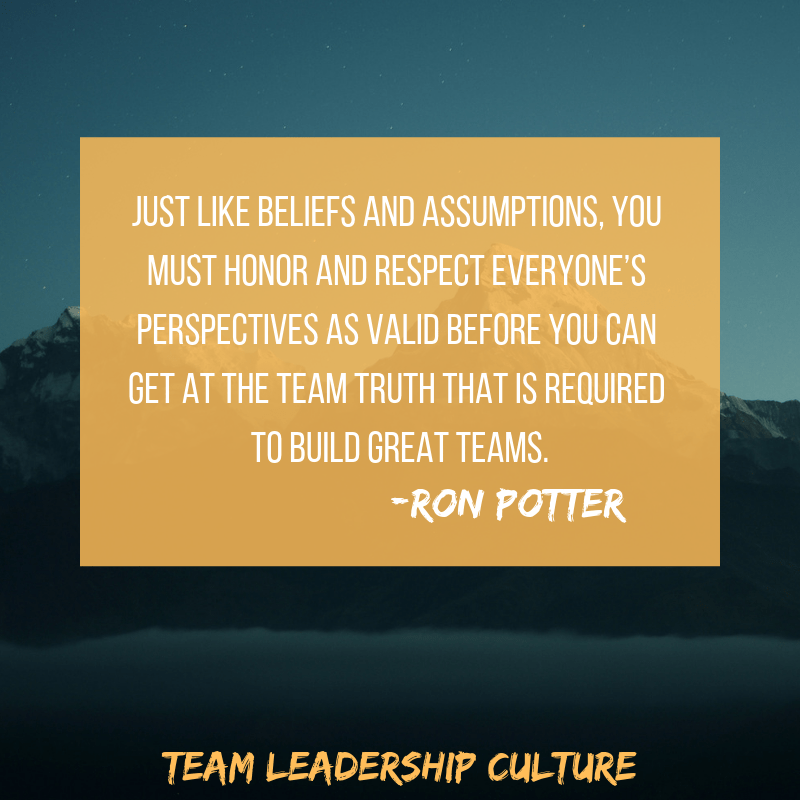 Leaders who build trusting relationships within their team are willing to consider alternative viewpoints and to make use of other people’s expertise and abilities. They feel comfortable with the group and are willing to let others exercise influence over group decisions. In contrast, managers in a distrustful environment often take a self-protective posture. They’re directive and hold tight the reins of power. Those who work for such managers are likely to pass the distrust on by withholding and distorting information. How does integrity-based leadership work? In a research study, several groups of business executives were asked to be involved in a role-playing exercise. The groups were given identical factual information about a difficult policy decision, and then they were asked to solve a problem related to that decision. Half of the groups were briefed to expect trusting behavior from the members of their group; the other half were told to expect untrusting behavior (“You cannot openly express feelings or differences with members of your group”). After thirty minutes of discussion, each group member as well as those who had observed the role playing completed a questionnaire. The responses were in harmony with each other: The discussions among members in the high-trust group were significantly more positive than the discussions among members of the low-trust group. In fact, people in the low-trust group who tried to be open and honest were virtually ignored. Hostility was caused by a mere suggestion, and it quickly spread throughout the group. The people in the low-trust groups realized that the lack of trust kept them from high achievement. They did not feel free to be vulnerable due to the actions and rejection of other group members. Members were more open about their feelings. Members experienced greater clarity of thinking. Members searched for more alternative courses of action. Members reported greater levels of mutual influence on outcomes. The high-trust group opened the gate of personal vulnerability, and the result was a better team and a model of integrity-based leadership. When people do not trust one another, it is difficult for the organization to succeed and for the people within the organization to feel completely fulfilled. People who feel trusted and who trust their leaders are more satisfied, and their work environment is less stressful. There exists a feeling of openness and confidence and a greater ability for people to believe they can take risks. In a research study several groups of business executives were asked to be involved in a role-playing exercise. The groups were given identical factual information about a difficult policy decision, and then they were asked to solve a problem related to that decision. Half of the groups were briefed to expect trustworthy behavior from the members of their group; the other half were told to expect untrusting behavior (“You cannot openly express feelings or differences with members of your group”). After thirty minutes of discussion, each group member as well as those who had observed the role playing completed a questionnaire. The responses were in harmony with each other: The discussions among members in the high-trust group were significantly more positive than the discussions among members of the low-trust group. In fact, people in the low-trust group who tried to be open and honest were virtually ignored. Hostility was caused by a mere suggestion, and it quickly spread throughout the group. The people in the low-trust groups realized that the lack of trust kept them from high achievement. They did not feel free to be vulnerable due to the actions and rejection of other group members—they were not among the trustworthy. 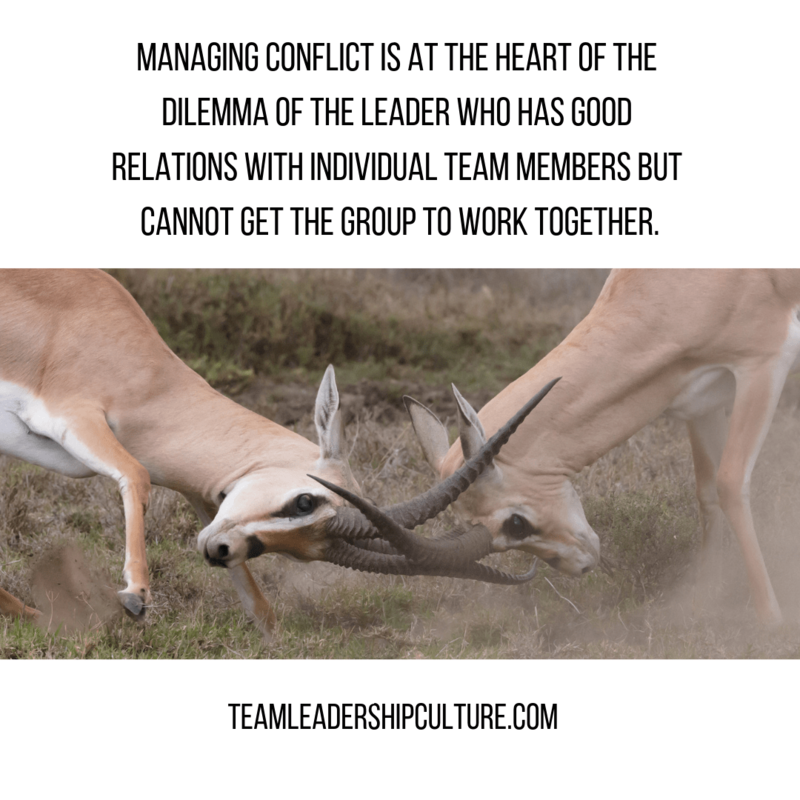 When people do not trust one another, it is difficult for the organization to succeed and for the people within the organization to feel completely fulfilled. 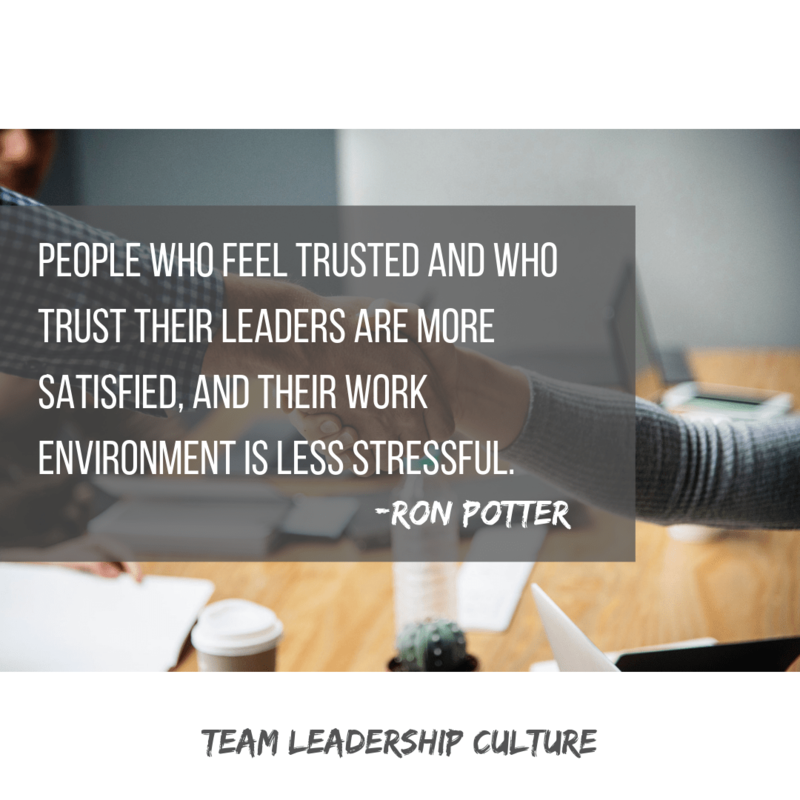 People who feel trusted and who find their leaders trustworthy are more satisfied, and their work environment is less stressful. There exists a feeling of openness and confidence and a greater ability for people to believe they can take risks. How many times have you used the following phrases? I should probably ask, “How many times have you heard the following phrases?” We often don’t hear our own words, but we sure hear others words. Don’t do it that way. I’ll correct that for you. These words and phrases are often used under the guise of trying to help. But, are they helpful? Reaction to any of the other statements will be similar. So how does someone truly help? First by genuinely asking if help is wanted. If the answer is yes. Then by asking what form of help might be useful or desired. Notice that so far, no specific “help” have been offered. 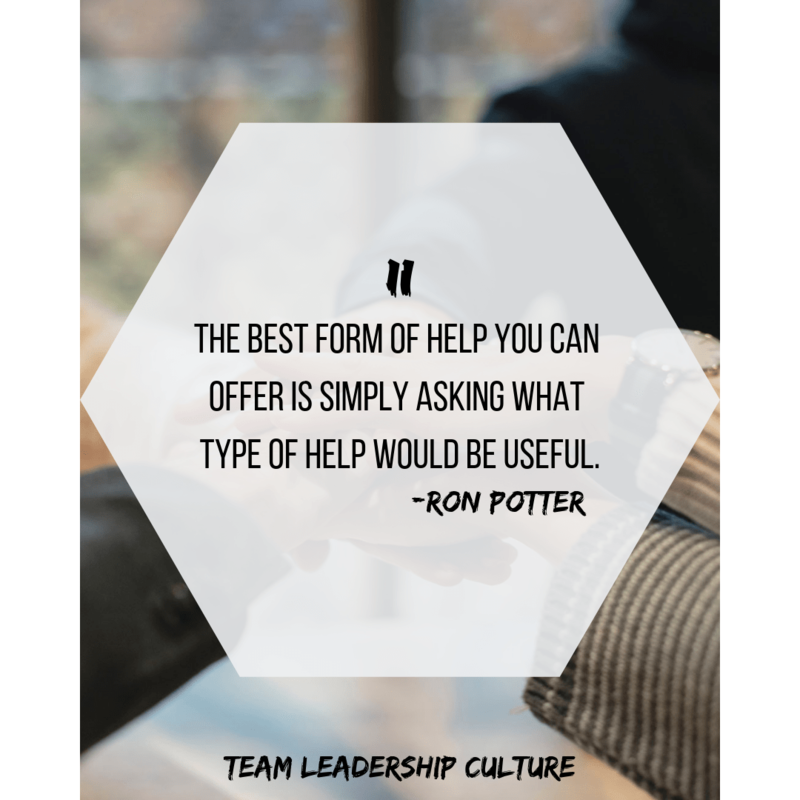 But by asking what type of help would be useful, there may be multiple answers. If you could cover this other project while we grapple with this one, that would be great. Would you simply listen to the issues as we’ve framed them and see if anything else comes to mind? Would you mind compiling some of this data for us? I think if we could see it all together it might be useful. Usually, the best form of help you can offer is simply asking what type of help would be useful. Once the person or team is confident that you really want to help in any way you can, multiple ways of helping will become evident. Don’t express what you think will help. Simply offer to help in any way needed. People really appreciate it.